February 17, 2015 (Los Angeles, Calif.) - Going off to university is always a time of change and growth, but for Esther, Susan, and Daisy, things are about to get a little weird. BOOM! Box, an imprint of award-winning publisher BOOM! 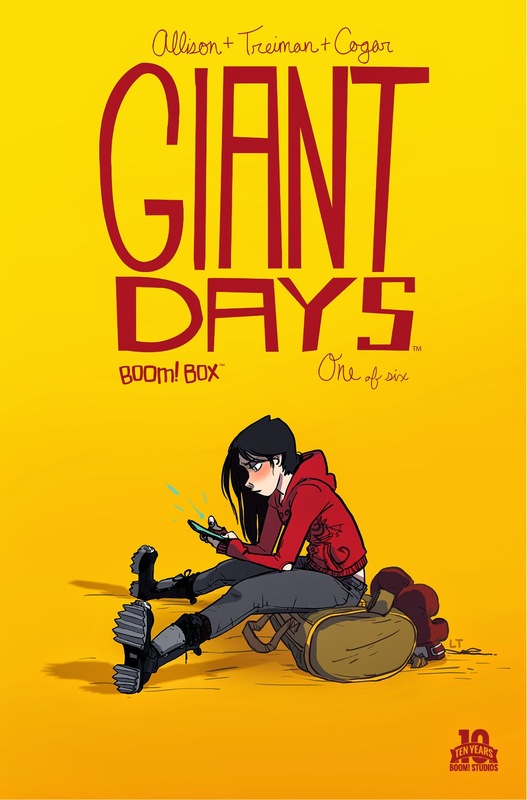 Studios, is pleased to announce the March debut of Giant Days, a new limited series from longtime webcomic creator John Allison (Bad Machinery, Scary Go Round) and Disney artist Lissa Treiman. Combining the humor of Lumberjanes, the sharp wit of Scott Pilgrim, and the positive power of relationships present in Faith Erin Hicks’ Friends With Boys, Giant Days is a quirky coming-of-age adventure. 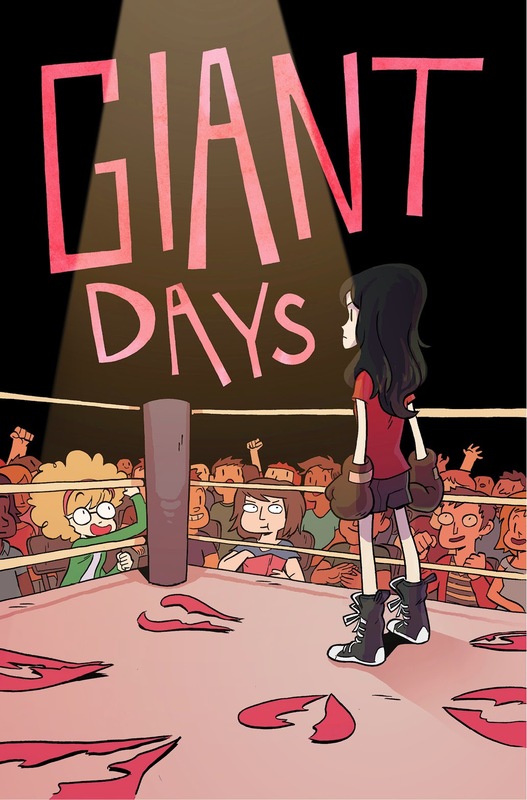 Giant Days #1 arrives in comic shops on March 18th with a main cover by series artist Lissa Treiman for the price of $3.99 under Diamond order code JAN151155. 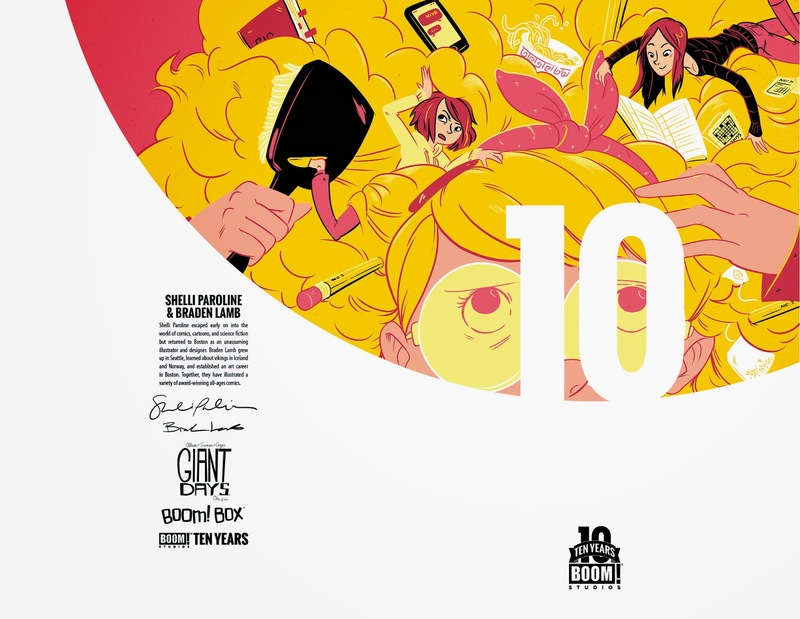 Also available in a limited quantity are a 10 Years Anniversary incentive cover by Shelli Paroline & Braden Lamb (Adventure Time, The Midas Flesh), and a retailer incentive cover by Meredith Gran (Adventure Time: Marceline and the Scream Queens). The Final Order Cutoff deadline for retailers is February 23rd. Not sure where to find your nearest comic retailer? Use comicshoplocator.com or findacomicshop.com to find one! It’s also available for order directly from boom-studios.com.